Most live webinar service providers will offer a core selection of services, including chat boxes, PowerPoint presentations, question boxes and recording capabilities. However, there are others that will provide you with additional services, such as polls, email reminders, live presenter feeds, audio for the viewers and surveys after the event. If you don’t need the extra services, it isn’t necessary to find a live webinar provider that offers them. If you would like to look more deeply into the live webinar providers available to you, there are certain things you should look for in each live webinar provider. 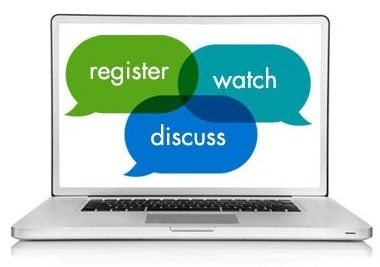 Webinar or Online Meeting – If you are holding an online meeting internally, you won’t need as many features as you will if you are hosting a full webinar with a much wider audience. There’s no point in paying for the additional features if you won’t be using them. Cost – It is critical for you to consider how much the live webinar provider will cost you. While you don’t want to automatically go with the cheapest option at the risk of losing reliable service, it is important to make a fair comparison between live webinar providers. Pay attention to details, such as number of attendees, number of webinars and available features. Advertising – While advertising is important to bring viewers into your webinar, you don’t want a webinar filled with ads for other companies. Be wary of webinar providers that are free or low cost at the expense of advertising within your webinar, turning your audience members away. Limits – You likely have an idea of what you expect from your webinar. Therefore, you need to evaluate the limits any provider places on you in terms of how many attendees you can have, how many webinars you can hold, when you can hold your webinars and how long your webinars can be. Each of these factors can have a negative impact on the outcome of your webinar if you aren’t careful. Geographical Limitations – Many companies use their webinars to reach a wide audience, often across international bounds. If you need to reach an international audience, you need to be sure to choose live webinar providers that support an international audience. Screen Sharing – If you wish to participate in screen sharing during your webinar, you need to be sure the live webinar provider you choose supports this feature. Audience Participation – Some companies prefer audience participation in their webinars. For instance, you may wish to allow your audience to communicate verbally by allowing them to chime in with their own microphone. 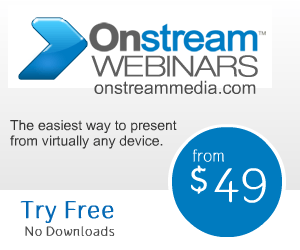 Other live webinar providers only allow written communication. You may also be able to engage your audience through the use of polls and other interactive features. Social Media – Social media has become an important aspect of doing business successfully. If you would like to integrate your webinar with your social media sites, primarily Facebook and Twitter, it is important to choose a live webinar provider that makes this integration easy, including adding an event to your Facebook page or downloading a promotional video to your YouTube channel. Recordings – Not everyone is going to be able to make it to your live presentation. Choosing a webinar provider that records all your webinars and allows you to post them on-demand, either on your website or another location, can help you reach an even greater audience. However, it is important to inquire about the space limitations to ensure you have enough for your webinar recording. Finding live webinar providers isn’t difficult. The most important thing is to know what to look for to ensure the best outcome for your next event.